After TW560’s recent motor replacement Seb, a long-time reader of emissionless.ch, wished me luck with my next 191k. 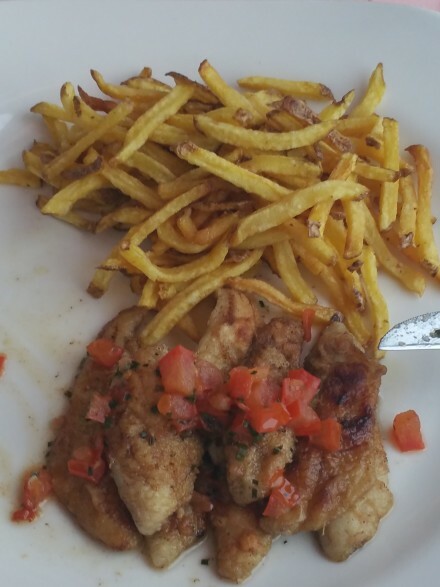 Since we hadn’t met for quite a while, I answered his comment by proposing a trip to perform a thorough burn-in for TW560’s new electric motor… and whilst doing so we could meet for some good food and wine. 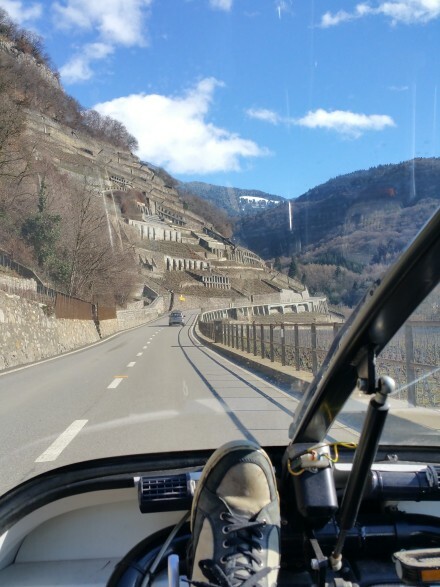 Just two weeks later, I had a two-day series of meetings in and around Geneva coming up – a perfect moment for such a burn-in, since Seb lives just around 80km from Geneva. 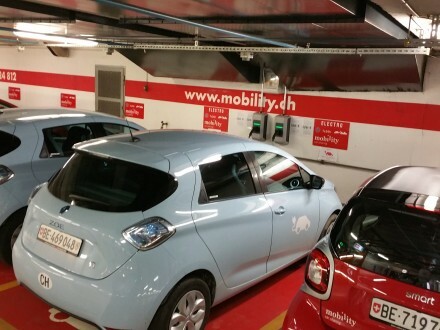 With another meeting in Bern to take care of, everything came together for a perfect trip / charge combination! Good morning! 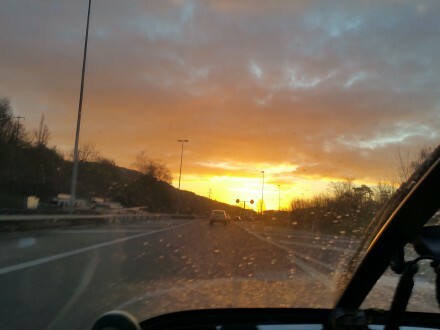 The day looks promising! 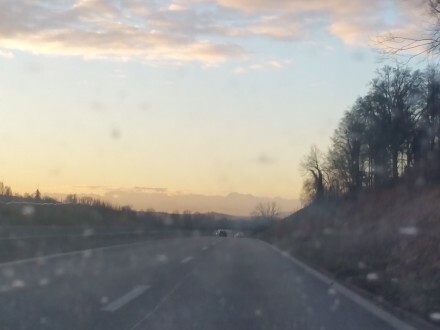 I first head to my office for some meetings – it’s always nice to see the Alps when driving to the office! At lunchtime I start my trip towards Bern where I have my first meeting. Very happy to be able to charge at full speed I head to the restaurant for a bite. 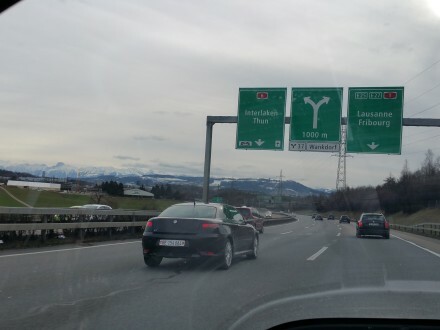 50 minutes later, I’m back on the motorway for a short 45 minutes drive to Bern. 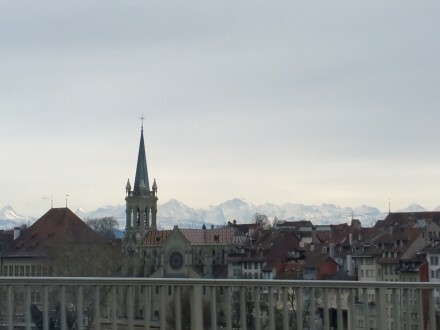 Bern is a city with its own full Swiss Alps panorama. 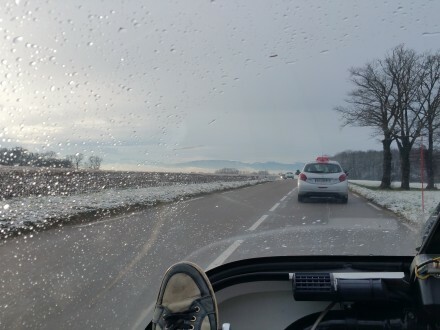 Depending on the weather, the Alps seem to be just outside the city! 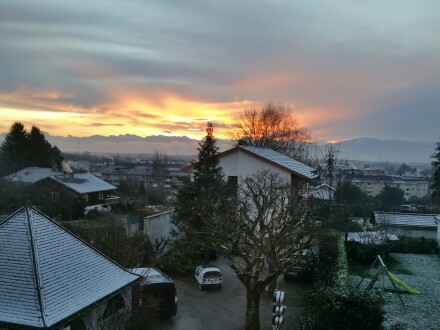 Bern & Alps – beautiful! 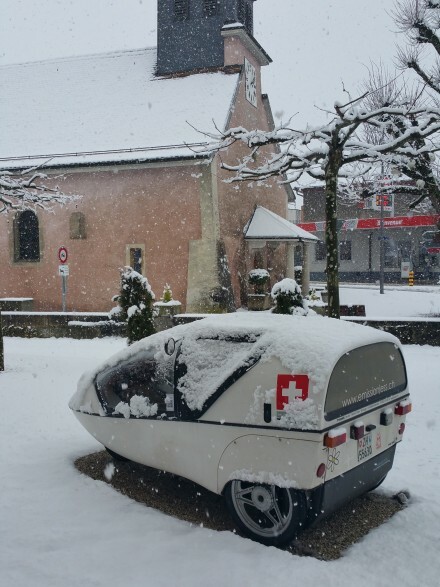 I’ve come to Bern with my TWIKE since I bought it – the city has many easily accessible P&C and other charging stations everywhere. 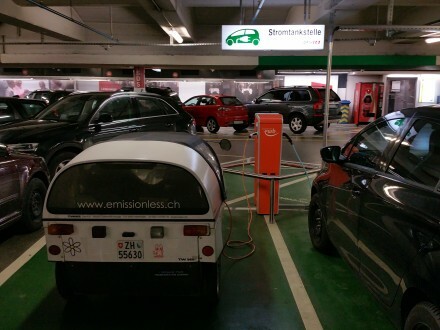 I choose the closest charging station to my meeting in Bern: Bern’s main train station. 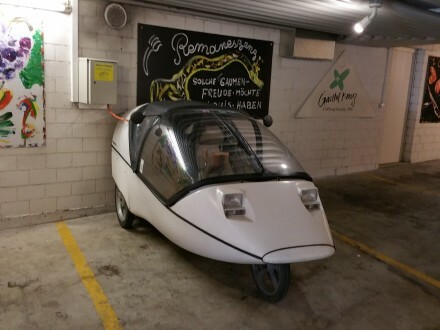 This parking has many different types of parking spots – XXL, Compact, Electric: brilliant! However, when I arrive at the charging point things have changed from how they were in the past! Instead of 4 outlets for 4 parking spots, there are only 2 Type2 plugs. (WTF?) And… my favourite pet peeve: activation of charge with a RFID from a local electricity provider. Grrr. 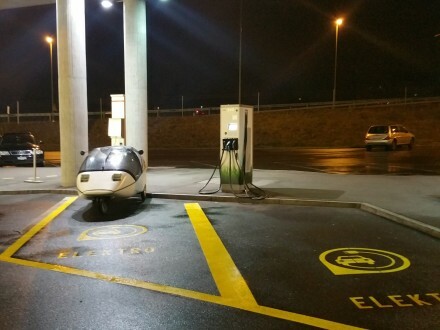 Another charging point “lost” to RFID! 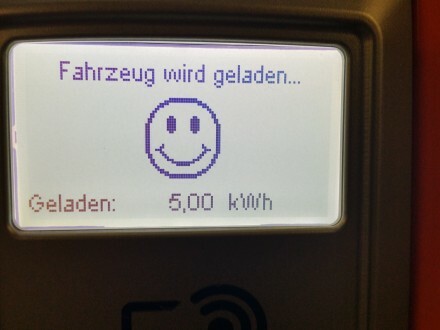 Bern’s local utility has a total of 4 (!) 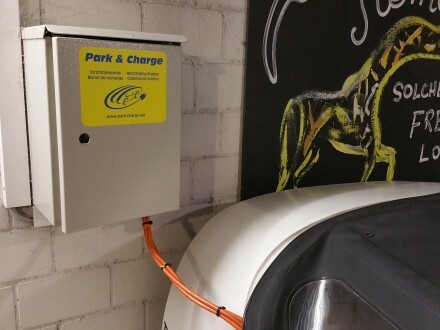 charging stations for which they have created an own management layer with RFID authentication…and no roaming or other means of authentication/payment for non-bernese ev-drivers. 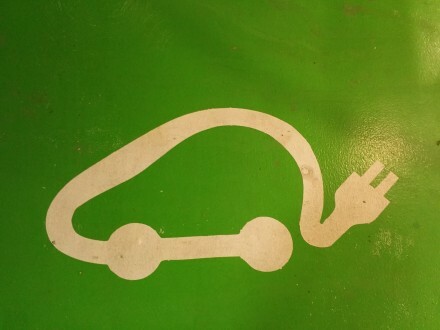 Although – for the moment – anyone can apply for the card and charging is free, this is again a fine example of a solution created by people who either don’t drive electric cars themselves or have never taken their ev further than one charge! Just imagine that with a ‘normal’ car you’d have to get a local card to be able to fill your tank before leaving! 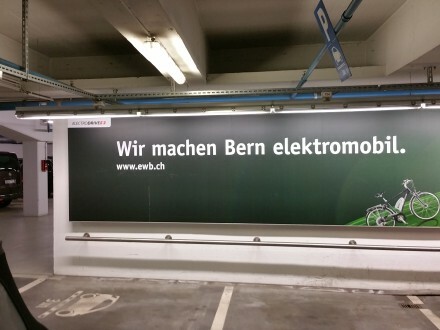 At least EWB is serious about electric mobility as is our largest Swiss car-sharing company! Back from a quick 60 minute meeting, I find TW560 fully charged and ready for a relaxing drive to Lausanne, where I will be meeting with an old acquaintance during my charge. Regular readers of my blog know what’s coming now: If you’ve not yet been to Lausanne – it belongs on your bucket list of places to visit. Need convincing? Click here! I settle in for a 70 min charge (arrived with a 2% SOC). 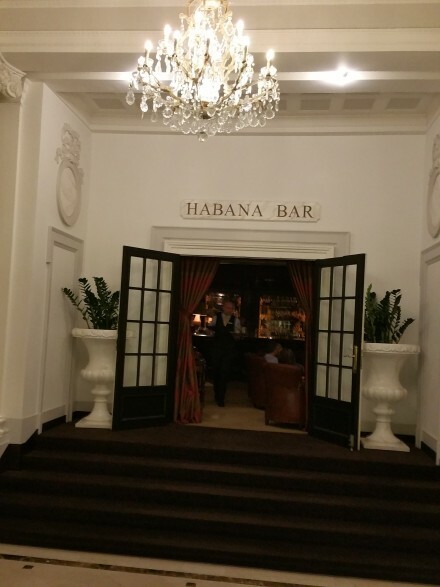 Sounds long, but yet again: with a live piano, plush surroundings, a cigar and a good conversation I stayed somewhat longer than the actual charge! 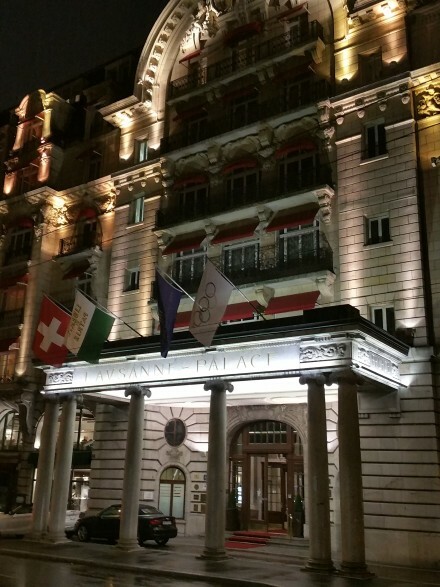 After bidding farewell, I drive to my hotel close to Geneva. It’s close to midnight when I arrive. The hotel’s name suggests it having a view (Le Beauregard) – we’ll have to wait and see tomorrow. The view is nice, indeed! My day today is peppered with meetings. First 2 meetings are in Geneva’s old town, one of which is at Tesla’s Geneva store, since I’m planning an electric car event for my company’s customers for the fourth time, this time for our French-speaking customers. Then a business lunch close to Nyon. 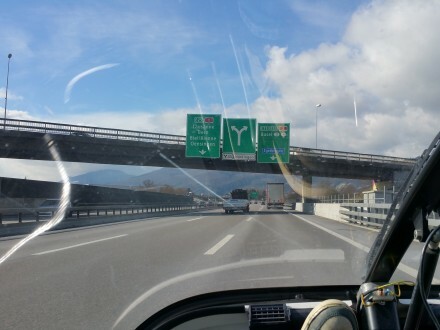 After that, I drive back to Geneva for 3 more meetings before heading towards Seb’s place in lower Valais. As I leave the hotel and start my drive towards Geneva, the city is still shrouded in fog. 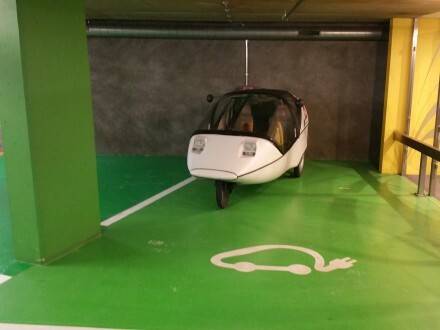 Tesla’s Geneva store doesn’t have any charging facilities, nor can i park my TWIKE anywhere close. No problem. 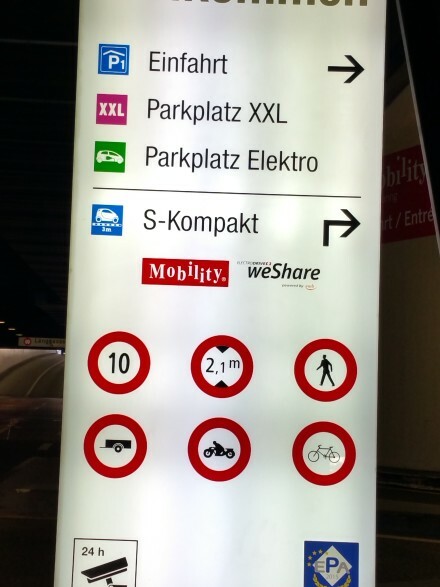 Just 200m from the store, there is a parking garage with 8 (!) charging points. 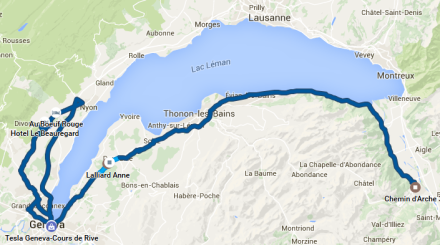 Lunch is coming closer and after a short drive, I arrive at Nyon and am looking forward to some local food. Lake Geneva is rather big and has a few fishermen providing top-quality fresh perch every day. We dine at a restaurant that buys from these local fishermen. The price is more than acceptable if you taste the fish! 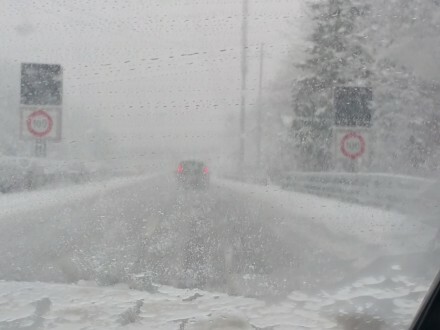 During the 30km drive on the motorway back to Geneva I hit heavy snowfall. 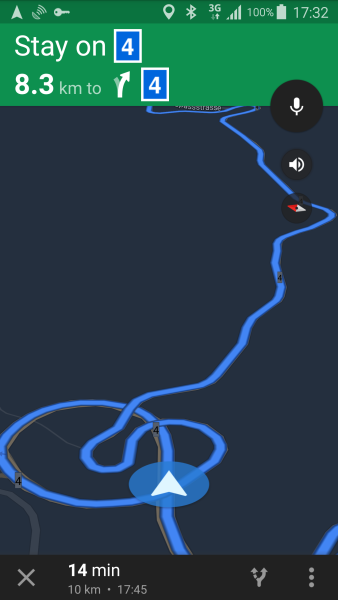 Very quickly, the roads turn white and even I lower my speed. 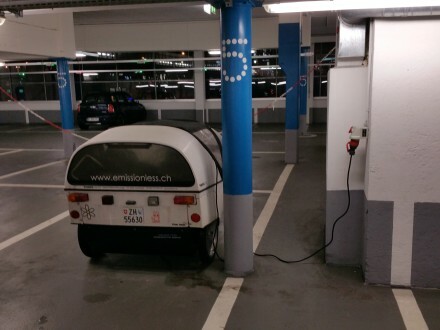 Back to Geneva, I park TW560 in yet another parking garage to charge, since I’ll be needing a full (and warm!) 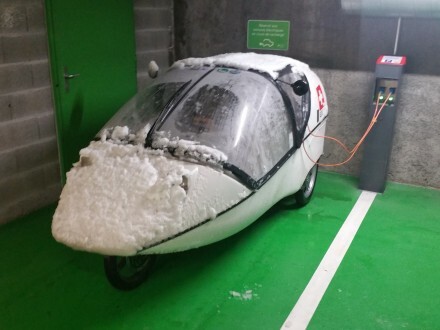 battery to make it to the lower Valais in these conditions later this afternoon. 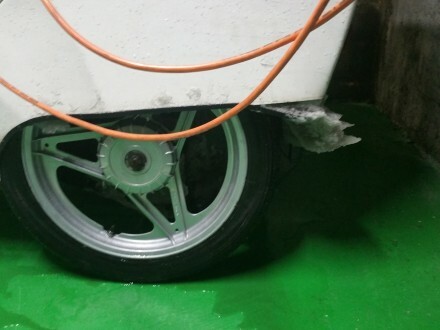 There are just a few design shortcomings with a TWIKE: Accumulation of snow in wheel wells is one of them. Just 30 mins of driving through snow and slush has already completely filled both wheel wells and the snow is now sitting above the tyres, acting like a huge break pad – at a cost of about 10-15% more energy. Let’s hope the snow melts before I’m back from my last meeting for today. Back from my meeting I was happy to see a huge puddle of water under my TWIKE! The snow was gone and TW560 is ready for a the trip to Seb. 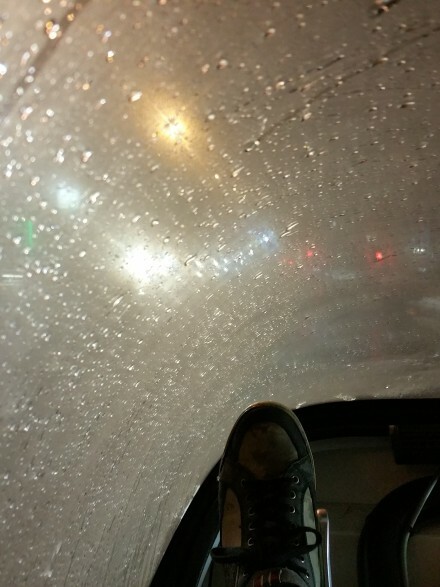 It kept snowing and as night fell, temperatures dropped considerably. 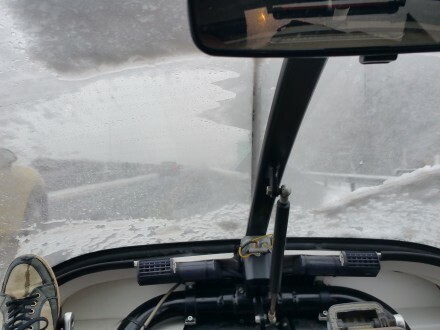 All the slush and water froze, leading to very dangerous and extremely slippery roads…Not all drivers noticed this in time. It didn’t take long until I was stuck in the mother of all traffic jams. 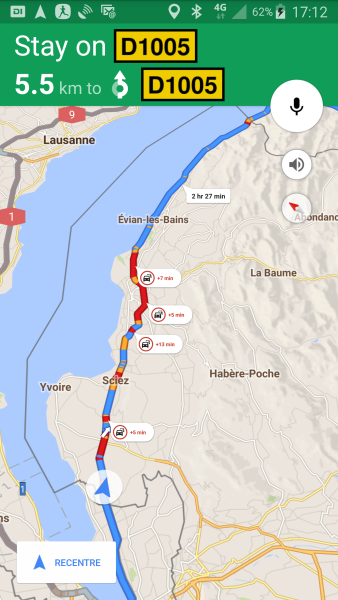 My ETA for Seb was pushed back by 150 minutes and Google was trying hard to save me some time! 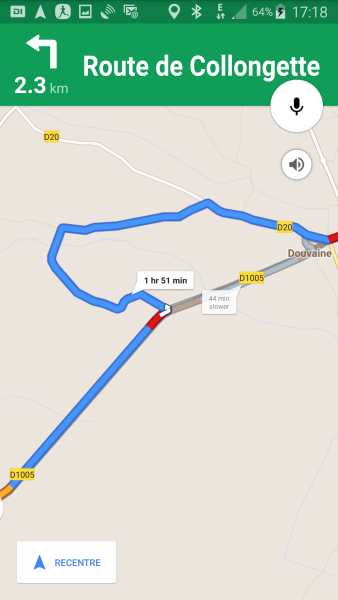 Google getting very creative to save me some time! Tired and cold, I finally made it to Seb’s. We started our evening with tasty food and had lots to talk about since we hadn’t seen each other for quite some time. 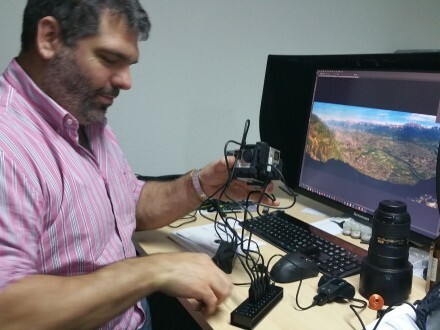 Seb makes his living with extreme high-resolution photography and commercial photo spheres for immersive product/real estate presentation on the web. Around lunchtime, I head back home although I could have stayed on for much longer. It’s difficult to describe why exactly I feel so at ease when I’m in the Romandy – it’s just a very nice place to be – with good food and very friendly and open people! 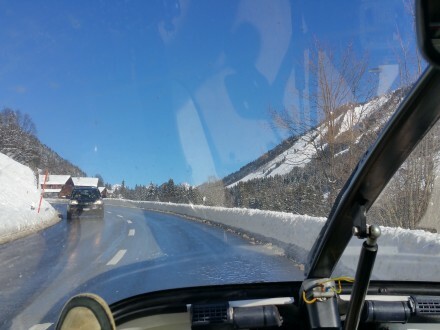 Blue skies promise a very nice drive! A beautiful day to cross Switzerland! I took the alternate route back home – away from motorways and past many famous Swiss places: Gstaad, Interlaken, Lucerne, Zug, Zurich. Just across the valley, on the southern hillsides, Aigle’s wineyards stick to the steep inclines and make a very drinkable wine. This wine works particularly well with Fondue or Raclette. The higher TW560 climbs, the more fresh, very white snow from yesterday is still visible. I drive up to the hotel’s main entrance and wait for one of the doormen to approach before opening the hood. They clearly are bemused by the vehicle but are also visibly unsure what exactly to do with this situation. What follows is why I like this kind of establishment: I tell the doorman that I would like to charge my vehicle and during the charge sample some of their fine offerings from the bar. Certainly! 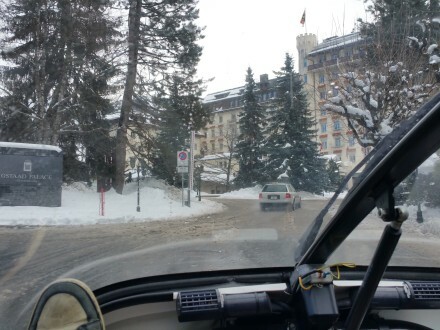 Welcome to the Gstaad Palace, Sir! We are very happy to offer you as much electricity as you might require. 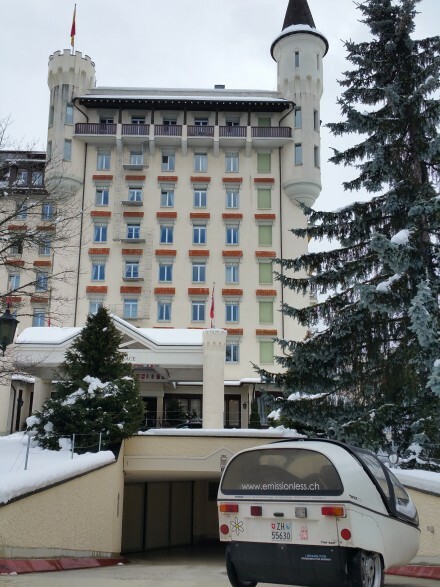 Unfortunately, we are unable to offer you our valet parking service for this vehicle – our head of valet parking services will happily accompany you to the parking garage to show you where to connect your vehicle! We sincerely apologize for the inconvenience. The charge is over much too quickly! 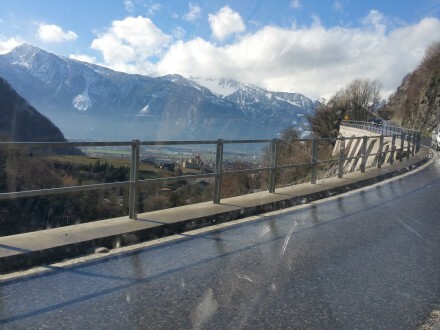 I head down the valley towards lake Thun and Interlaken. 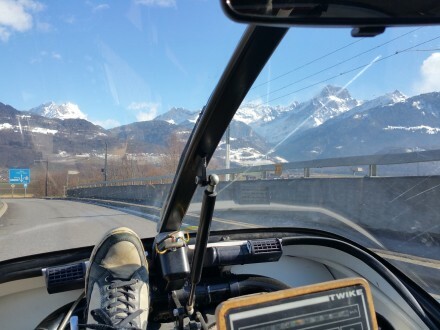 After the Grimsel pass, TW560’s batteries need another recharge and I’m hungry, too. 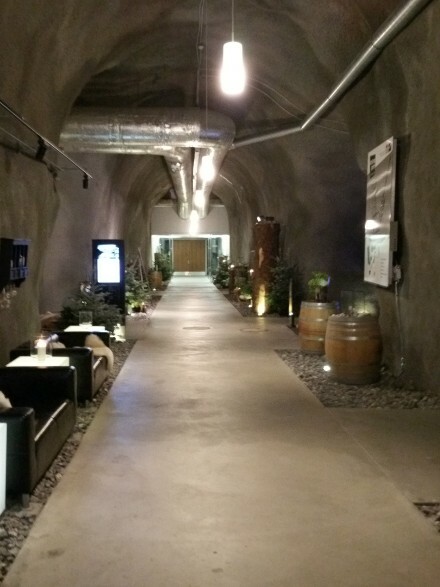 I decide to charge at Cantina Caverna, a Restaurant deep in the Brünig mountain and part of the Brünig Park, which even boasts a 300m climate controlled, indoor shooting range where Switzerland’s best teams practise. 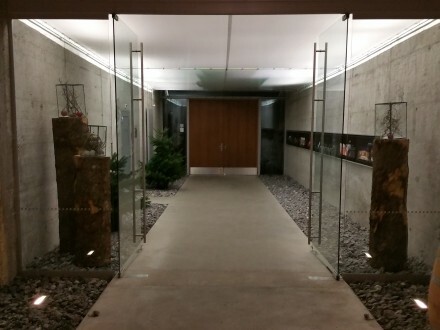 I already knew the restaurant from the Best of Swiss Gastro 2016 awards and was happy to try it. 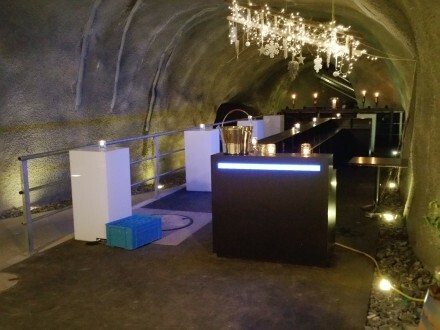 The very unusual setting deep in the caverns of a mountain certainly added to the culinary experience! Very happy and satisfied, both TW560 I start the last leg of our trip today. 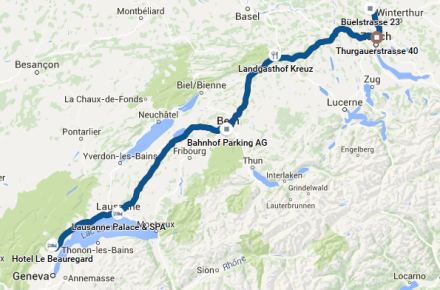 From Lungern lake until home, we drive at full speed on the motorway … with a quick 15 minute recharge en-route …. and we were back home. 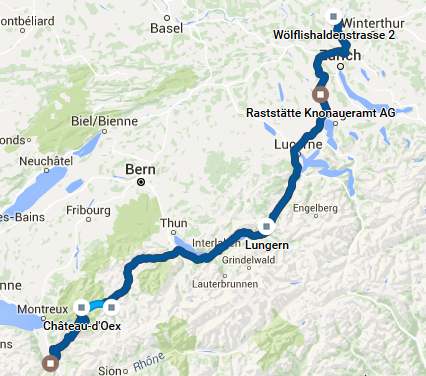 3 days, cross Switzerland twice, mostly high-speed motorway driving and no problems. This burn-in has been a full success!